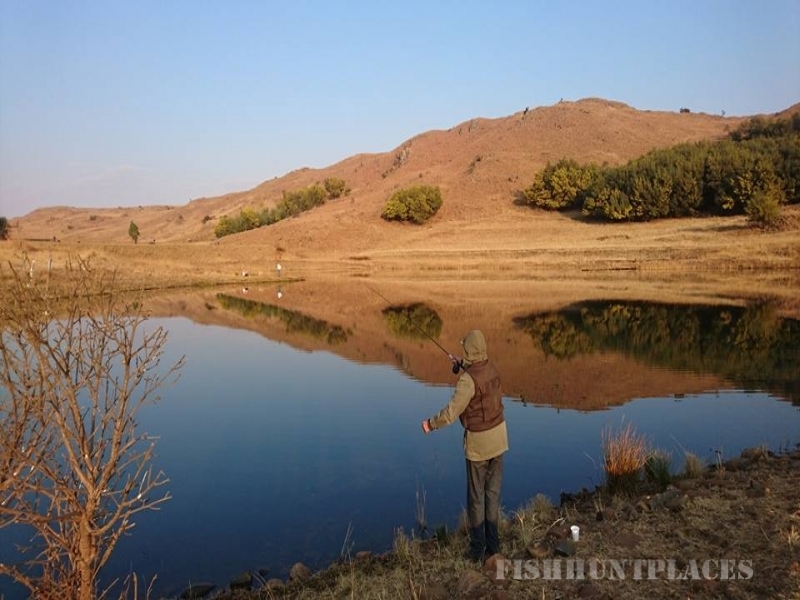 Experience the unique splendour of the Dullstroom highlands at 2000 meters above sea level. 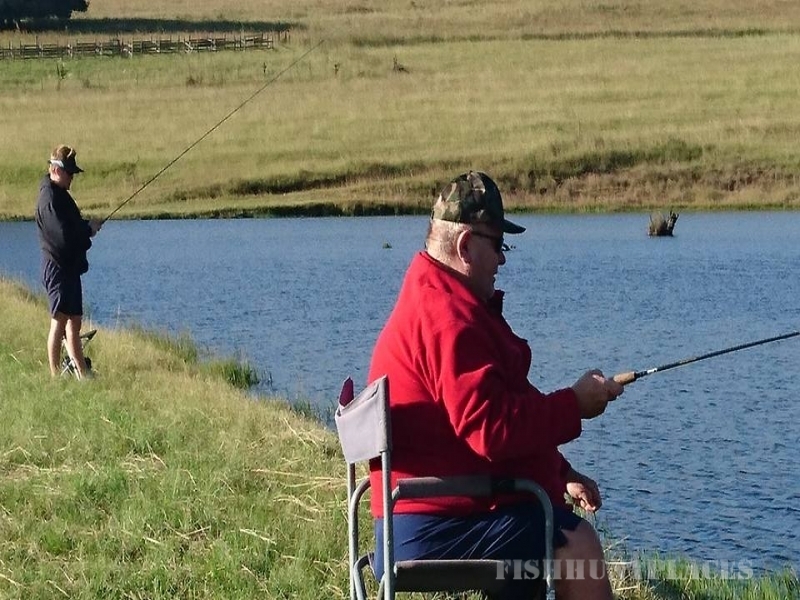 Join your hosts, the Combrink family, on their 1500 Hectare trout farm. 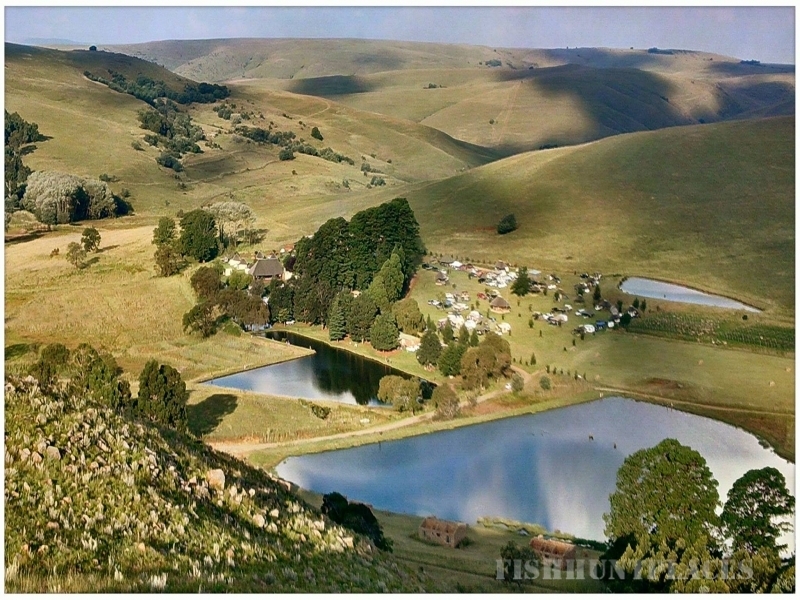 Enjoy walking, cycling or a horseback ride among the 800 head of game on this pristine farm. Spot the endangered Oribi or the rare mountain Zebra. Take time to search for the elusive Otter along the banks of the river, or spot any of the Grassland predators like Caracal, Black backed jackal or the secretive Brown Hyena. More than 200 birds have been recorded on this farm with sightings of Fluff tail, Fish eagles, and the long wing Nightjar. Blue Crane, Mahem and Wattle Crane are annual visitors and have bred successfully on Elandskloof. If you are more into doing it in style, let us take you on a game drive or night drive (weather permitting). Make use of the crystal clear air, the colourful hues, and the dramatic backdrop of the mountains to capture that once in a lifetime picture. Explore a working farm and learn about stock handling, assist with the everyday chores of feeding the pluimfee. 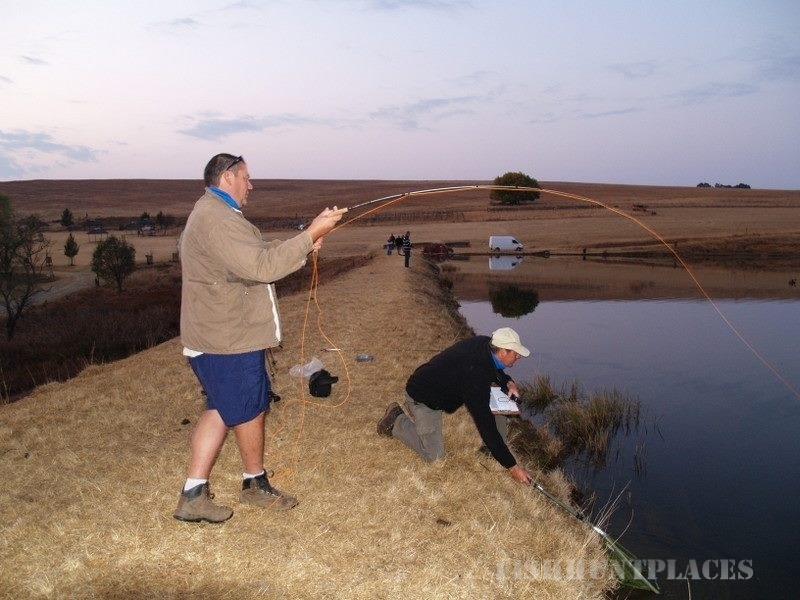 For the avid fly fishermen we have 11 dams, varying in size with some as large as 8 hectares, regularly stocked from our own hatchery. 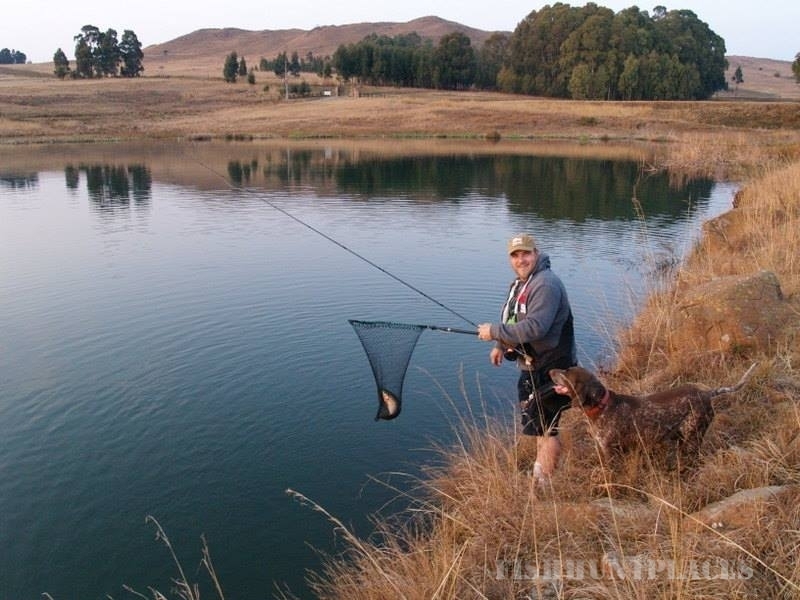 Although we promote catch and release a bag limit of 2 fish per angler is allowed. Cook it yourself in one of our self-catering units or let us prepare it for you in our restaurant (by prior arrangement). Enjoy the peace and quiet of farm life, sit around a fireplace, see the mist roll in . Prefer to camp? Stands have electricity points, hot water ablutions and washing up areas. Make use off our mobile braais. Firewood and ice are always available. Take a break and let the kids enjoy the playground filled with vintage farm equipment, or splash around in the year round heated natural spring water pool or Jacuzzi. Looking for that special venue? Allow us to host your wedding, corporate function or teambuilding event. Our staff has all the qualifications to make your experience a unique one. From 20 to 180 people, nothing is too much effort. Our resident chef has worked in some of our country’s finest hotels and will assist you in planning your menu.